Various venues between September 1st and 30th. This ‘unofficial month of cinema’ runs throughout September. Following the mantra ‘Go forth and fill the land with cinemas’ there are a varied range of events in major urban areas in England and in Scotland: there is also an event listed in the north of Ireland. To help punters there is a free Newspaper which includes listings which can be found at the various venues: in Leeds I picked one up at the Hyde Park Picture House and at the Arch Café. As well as listings the Newspaper includes a range of articles on the various forms of cinema. The filmmaker Peter Strickland looks back at his experiences, including visiting one of the key venues for alternative and counter cinemas, The Scala. I remember many fine screenings there, including great all-nighters. Other writers sing the praises of 35mm, digital and [even] VHS. This is cinema in all its shapes and guises. At the Hyde Park on Saturday September 12th at 11.00 p.m. we will have La Grande Bouffe (Blow-Up, France, 1973), a film that rather puts John Waters in the shade. And there is a Scalarama Special on Saturday September 26th themed round Creatures of the Night. There will be two more of the excellent films from Martin Scorsese Presents: Masterpieces of Polish Cinema. On Sunday September 13th at 3.00 p.m. we have Provincial Actors (Aktorzy prowincjonaini , 1979). The film was co-scripted and directed by Agnieszka Holland. She worked in Polish film as a writer, director and occasional actor. The film is set in a small town, [partly filmed in Lodz] as a theatre company prepare a classic play for performance. On September 22nd at 6.30 p.m. there is The Illumination (Iluminacja, 1973) written and directed by Kryzstof Zanussi, another major filmmaker drawn to moral concerns. The protagonist in the film works as a physicist and the film explores his search for identity: his personal life affected by the larger social world. On September 27th there is a double bill of films by US independent filmmaker Shirley Clarke. One film is a must for jazz enthusiasts, Ornette – Made In America (1985). Alongside this is her early and rarely seen The Connection (1961), a fine film adaptation of a ‘beat generation’ play. You can read about her in the profile in the Festival newspaper. Other film venues in Leeds are also participating in the Festival. There are several screenings at Minicine, at the Oblong Cinema, and individual screenings at Little Reliance Cinema and Leeds Queer Film Festival. And there are events at The Heart and the Arch Café. 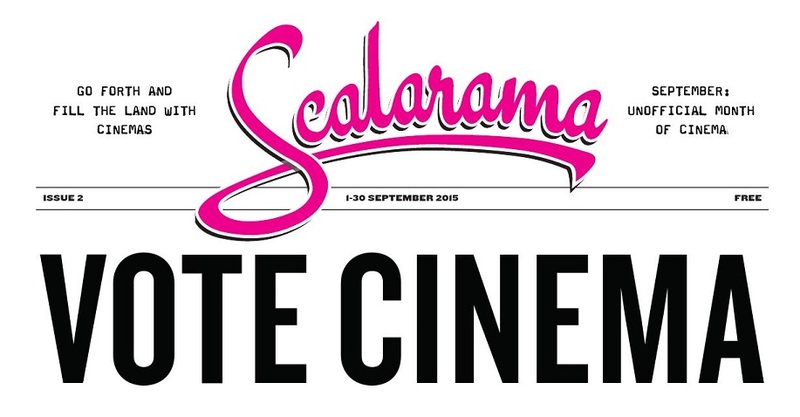 You can check events here and in other cities on the Scalarama website, impressively put together. Note, fresh events are being added, so check the website and do check individual events, I have discovered a couple of minor errors. If you going to the Hyde Park over the next week you may enjoy among the trailers a showreel of the films on offer. It make September a great month for film buffs. ← 13 Minutes, Germany 2015.